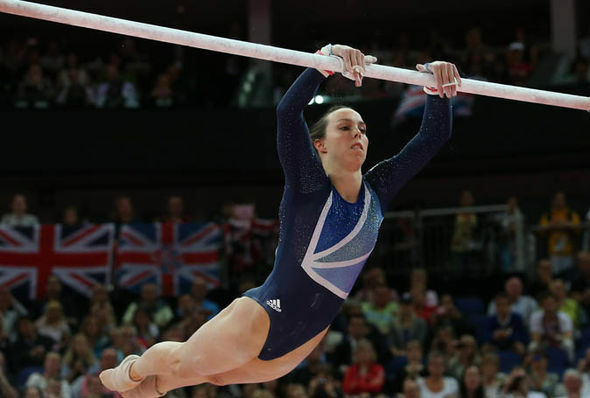 BETH, 30, is a three-time Olympian and the most successful British gymnast of all time. Born in Johannesburg, she was raised in Bunbury, Cheshire. It’s difficult to pick just one. I loved Florida when I went with my family in 1996. There’s something for everyone: Universal Studios, Walt Disney World, Busch Gardens and some great beaches. We went to Jávea on the Costa Blanca in Spain last year for our first family holiday in a long time. It was really chilled and just nice to spend time with my family. I’m lucky. I don’t think I’ve ever had a bad holiday although I once had a nightmare with a delayed connection. I ended up in Florida with no bags and no friend to meet me because she assumed that I’d missed the flight and would be on the next one. I read a mixture of books usually recommended by my best friend. I’ve just finished The Fault In Our Stars by John Green which I enjoyed but it was a real tear-jerker. HOW DO YOU SPEND YOUR TIME ON HOLIDAY? For the first few days I like to chill by the pool, read and catch up with whoever I’m on holiday with. I spend so much time away from home so I like to make the most of my time with them. After a few days I need to do some kind of activity, such as horse-riding or jet-skiing. I’m so used to being active all the time. I’m not very good at sitting around. I went to South Africa last year and I would definitely go back. I have a close connection with the country as it’s where I was born. On my trip I went on safari, visited a local charity and went to the top of Table Mountain where I just couldn’t resist getting a photo of me doing a handstand. The view was amazing. To Paphos in Cyprus. I’ve been really busy with my gym academies so I’m looking forward to relaxing, doing some horseriding, hitting the beach and taking in the local culture. * Beth is an ambassador for the Mountain Warehouse Charity Challenge, (mountainwarehouse. com/charity) which encourages people to take part in outdoor challenges to win £10,000 for charity. Beth also plays her top tunes on Vintage TV.